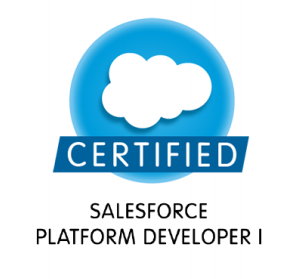 The Salesforce Certified Platform Developer I credential is intended for individuals who haveknowledge, skills, and experience building custom applications on the Force.com platform. This credential encompasses the fundamental programmatic capabilities of the Force.com platform to develop custom business logic and interfaces to extend Salesforce using Apex and Visualforce. To achieve this credential, a candidate must successfully pass the Salesforce Certified Platform Developer I exam. This exam is also a prerequisite to the Salesforce Certified Platform Developer II Multiple Choice exam.  Delivery options: Proctored exam delivered onsite at a testing center or in an online proctored environment.  References: No hard-copy or online materials may be referenced during the exam.